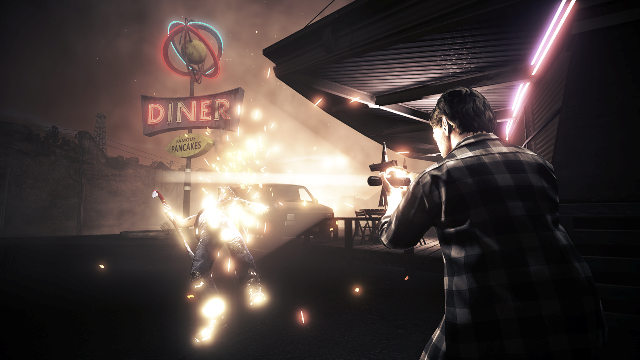 Alan Wake’s American Nightmare was developed by Remedy Entertainment and published by Microsoft Studios. It was released February 22, 2012 for 1200 MSP. A code was provided for review purposes. This time around, Emma wasn’t going to allow things to play out the way they had the previous two. She wouldn’t just sit idly by playing the damsel-in-distress role while Alan did his hero thing, hiding away in a supposed bastion of light from the Taken. No, she’d had quite enough of that already, thank you very much. This time they’d play things her way. This time, she had already collected all of the pieces of the oil rig puzzle and even had the motel keys. However, she wasn’t about to just hand it all over to the Champion of Light and help him along in his quest to put a halt to this perverted little desecration of reality, one in which the two remained imprisoned. That is to say, not unless he would first do his part to protect her from the Taken, at least. Most readers are probably wondering what the heck all of that means. How would you feel if a game inspired those same sensations of confusion by seemingly starting in the middle rather than the beginning? 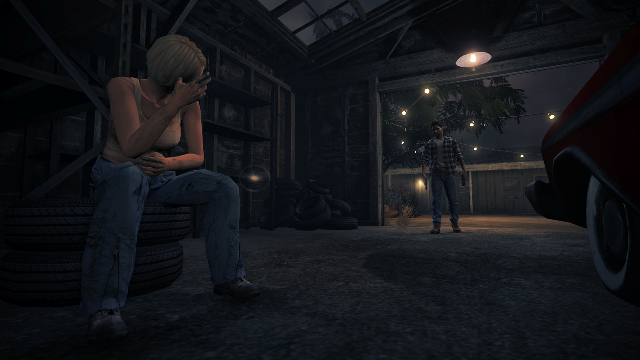 This is the reality of playing through Alan Wake’s American Nightmare. It’s a reality that will become all too familiar to players as they relive the three same sections of the game over and over again, with the events altered just enough to keep things interesting. 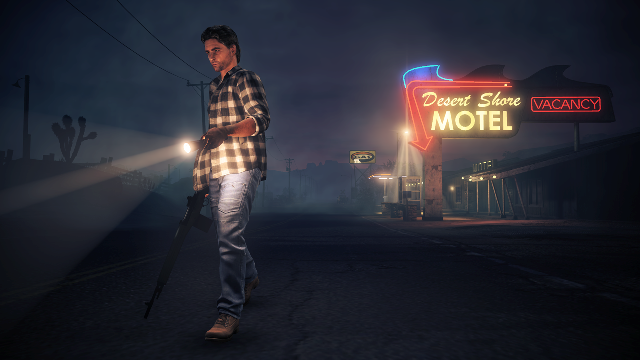 Don’t expect to jump right into this spin-off of the original Alan Wake and have a grasp on what is going on out in its quiet little stretch of the Arizona desert: you’re not meant to. Though the plot will of course clear up as players progress, the onset leaves one feeling as if they’re reading a library book from which the first chapter has been ripped out by some juvenile miscreant. Alan went missing for a couple years after the events back in Bright Falls, and he know finds himself in a version of the Twilight Zone-inspired program he once wrote for: Night Springs. Only this iteration of it has been twisted into a disgusting apparition of a Night Springs episode. Mr. Scratch, who plays the role of a sort of “Nega-Alan,” is pulling the strings here, thinking Wake nothing but a puppet in his little game. Al, being the crafty little scribe he is, has built in a backdoor to get out of this nightmare, though. Trouble is, he’s not really sure how the narrative goes — and neither is the player. Cue a frantic “fight with light” struggle against Scratch that can’t live up to the excellence of its predecessor, but still offers a fun excursion on a scale that is rarely seen on XBLA. Fight with light – Remedy Entertainment figured its combat system wasn’t broken, so there was no sense in fixing it. They were largely correct in making that assumption. Utilizing classic standbys like the flashlight and flare gun in conjunction with new tools — like the nailgun — in order to send the Taken back into the darkness from whence they crept is still a blast. The new weapons and enemies make for great additions to the formula and provide some opportunities for employing slightly different strategies at times. It would have been nice had the campaign had been a bit more challenging, but combat is still a high point in this sequel. For the horde – It’s a prerequisite for all games with firearms to have a horde mode of some sort these days, and American Nightmare jumps on that bandwagon. Fight Till Dawn tosses as many waves of Taken at the player as he/she can handle. The objective is, unsurprisingly, to survive as long as possible while taking as many enemies down as possible. It doesn’t reinvent the wheel, but it’s an enjoyable mode that features some of the combat tension that the campaign lacks. The omission of multiplayer seems like an odd choice. There’s little doubt that the mode would have benefited from a second player jumping in for some co-op action. Regardless, it’s a nice little break from the story mode that adds a decent bit of longevity to the title. Live and in the flesh – Video games and live action have a sordid history that is best forgotten. Bring up the topic and plenty of older gamers will immediately shiver in disgust with memories of games such as Sewer Shark back on the Sega CD. Remedy took a chance by filming human actors and juxtaposing them against the in-game graphics. Thankfully, they pulled it off with aplomb. These segments take place both after certain sections of gameplay are completed as well as during actual gameplay by way of recorded clips left for Wake by the antagonist on TVs. They do a great job of portraying Mr. Scratch as a total lunatic who loves to party it up. His character reminds one of Christian Bale in American Psycho; expect to simultaneously laugh at his absurdities while being taken aback by his brutality. 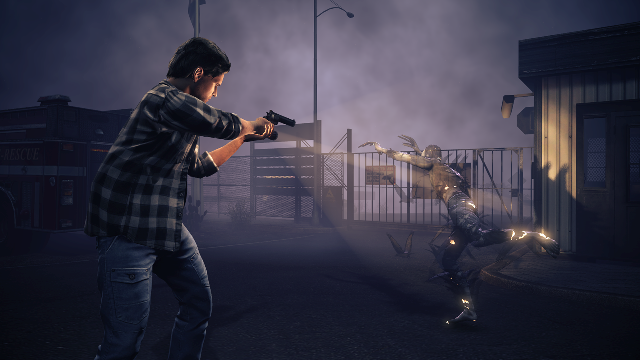 Graphics – The boys at Remedy deserve much recognition for the degree of visual splendor that they managed to deliver in American Nightmare. 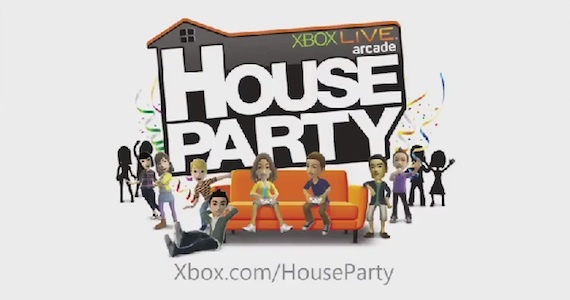 It is difficult to recall another XBLA release that boasts this kind of graphical pizazz. Gamers aren’t used to getting this kind of an optical treat for 1200 MSP, and it will probably be some time until it is equaled. There are no daytime scenes this time out, so it’s all about delivering some spooky nighttime thrills as Taken materialize from the shadows and come barreling forward at the Champion of Light. The setting is intentionally campy and contains several memorable locales that the team did a wonderful job of fabricating — which is great, since there is a shockingly limited number of areas to explore. Alan’s running animation looks a bit funky, but that’s a terribly minor quibble in the face of what is an otherwise superb graphical package. Been there, done that – It has already been written that Remedy only designed three areas for the roughly 4–5 hour adventure and tasks you with playing through each of them multiple times. If that sounds like a drag, it’s because it kind of is. Your goals are identical each time through, and you’ll end up interacting with the same cast of characters. That being said, the manner in which events unfold is tweaked each time, as Alan and the NPCs build on hodge-podge memories of their past experiences in the nightmare to better prepare themselves for the onslaught of dark forces bent on consuming them. Mr. Scratch doesn’t exactly turn a blind eye to Al’s past deeds, either. He knows the player is up to something; he’s just not sure what it is. Nevertheless, he responds by upping the ante and tossing more formidable baddies your way upping the difficulty. It’s nice that the flow is recalibrated each time through to keep the experience from growing monotonous. It’s even understandable that the team took the approach they did, given the step down from retail to XBLA that led to a truncated budget and development cycle. Still, fans will surely feel themselves pining for the first game’s approach to level design more than a couple times. Lack of challenge – Throughout the first couple of runs through the game’s trio of stages, it is clear that the tension of being hunted down by Taken that vets will remember from Alan’s last adventure is missing. Most of the enemies are cannon fodder and can be dispatched without much thought using the shotgun and flashlight. As mentioned, it does ramp later on; however, you won’t ever have to worry about dying. The straightforward approach to combat and ridiculously ample amount of ammunition will see to that. Not to be one of those cranky old “back in my day” gamers that dedicates too much time to ranting about the “good old days” when games were unapologetically difficult, but American Nightmare is far too easy. It’s almost entirely devoid of threatening situations, which results in the elimination of the frantic fight for survival that the first game had. Atmosphere takes a back seat – Remedy had to cut some things in order to make this thing work as an arcade game. One of those elements is the sobering daytime scenarios. These portions allowed the story of the first game to progress while players caught their breath from the visceral action of the night. This is another understandable move on the part of the development team. Still, their absence is both noticeable and regrettable.